Do you haveÂ a factory, warehouse, gymnasium or transport depot? 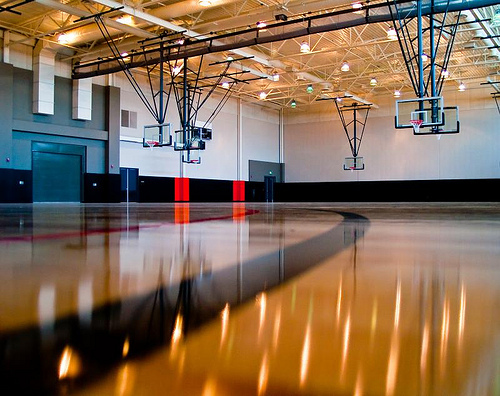 A Sydney based gymnasium was burning a lot more energy and spending a more money than needed. With energy prices escalating, the owners had to do something to reduce overheads. They had 17 x 400 watt high energy use lights on from 5:15am till 8:00pm – 6 days per week ‘they were eating power for breakfast’. Why did they decide to switch toÂ LED High Bay Lights by Matrix LED? Modern LED high bays can produce 160+ lumens per watt. A 400w MH will typically produce around 90 lumens per watt. Compare the cost of conversion resulting in direct power savings and a payback in less than 12 months. Note that prices exclude GST. The Matrix LED Lights are approved under the IPART Energy Savings Scheme providing even more savings in the form of Energy Savings Rebates. 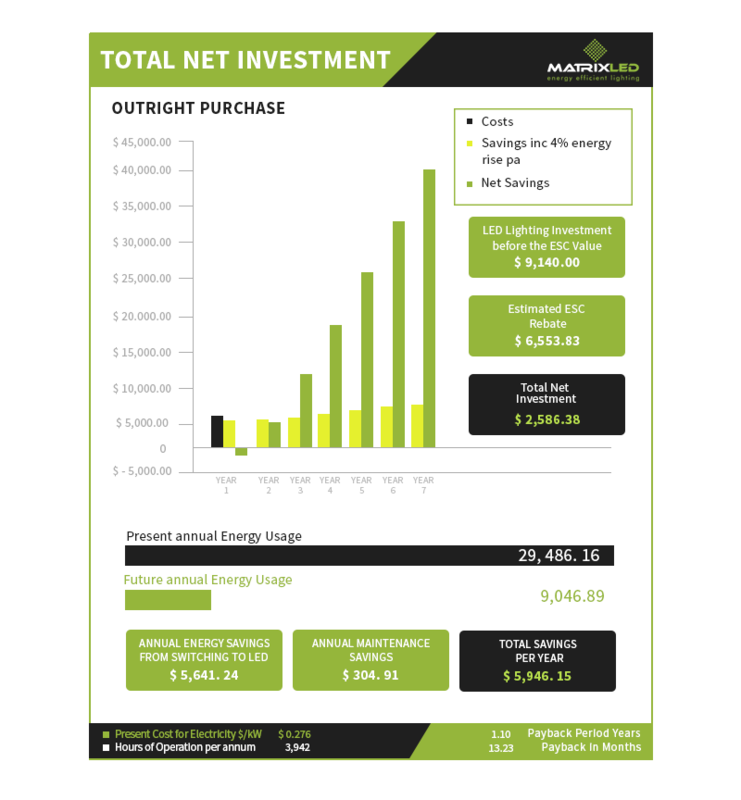 The total cost of Matrix LED lights including installation after claiming the energy savings rebate is $6,553 with annual savings of $5,946 – a return on investment in less than 13 months. About Matrix LED – Matrix LED is a trusted name in LED lighting in Australia for the last 7 years. 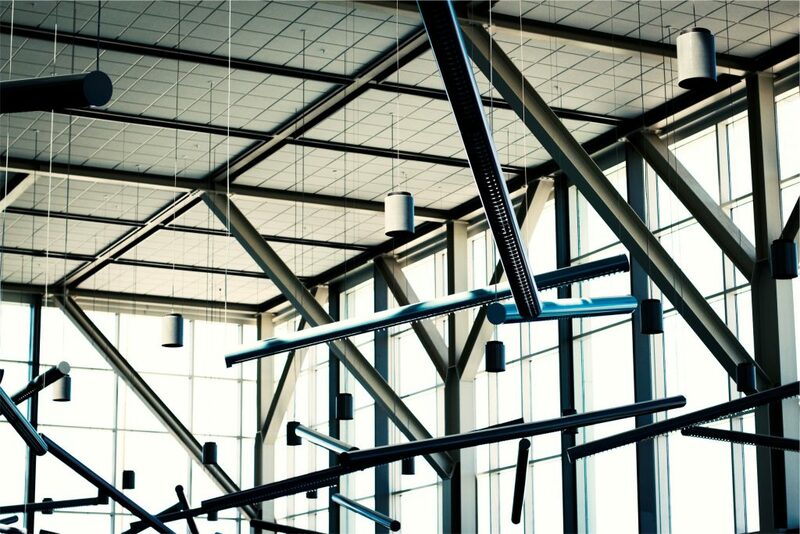 We offer high-quality, eco-friendly, energy efficient and affordable lighting solutions. Managed and owned by Australians, our company is fully equipped to cater to the LED lighting requirements of the Australian market. Make the switch now. Interested in the 95 watt / 160 LM / W-LED Hi-Bay?